The Blue Box Café within Tiffany & Co.’s new retail design concept in New York City features dramatic Amazonite quartzite on its walls. Celine’s new Miami shop is clad in Pinta Verde marble from Brazil. Barney’s New York in Chelsea experiments with different ways to use marble—from curved staircases to cantilevered displays for handbags and jewelry. 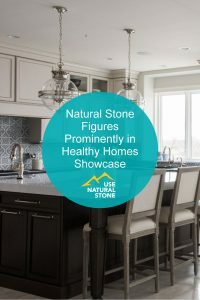 Savvy retailers and forward-thinking designers are embracing natural stone for more than its utilitarian purposes. 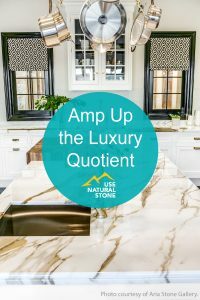 Natural stone is being featured front and center as retailers realize in order to appeal to today’s tech-driven and easily-distracted consumers they need to create a sense of community and appeal to all of their senses. Architects and designers are using natural stone to help convey that ethereal and grounding feeling often missing in most retail environments. The Blue Box Cafe. Photo courtesy of Tiffany & Co. Luxury retailers aren’t the only retailers taking their cue from the elements to promote a multi-sensory journey. It’s something architects and designers have been encouraging for years and we’re seeing more installations today as retailers struggle to shift purchasing preferences from the convenience of online to brick and mortar. Joy Monice Malnar, AIA, professor emerita of architecture at the University of Illinois, Urbana-Champaign, Champaign, Illinois, and Frank Vodvarka, professor emeritus of fine arts at Loyola University Chicago, Chicago, Illinois, are co-authors of Sensory Design, which explores the nature of our responses to spatial constructs—from various sorts of buildings to gardens and outdoor spaces, to constructions of fantasy. In their book, they illustrate how our designed environment would be enriched if designers had a better understanding of the human senses. “Every touching experience of architecture is multi-sensory; qualities of matter, space, and scale are measured equally by the eye, ear, nose, skin, tongue, skeleton and muscle,” shares Juhani Pallasmaa in Sensory Design. While some designers might consider some structural attributes as ornamental, and, therefore, inessential, others look at architecture as a way to engage our sensory perceptions, according to the authors. Natural stone can be used as more than just a solid building material. 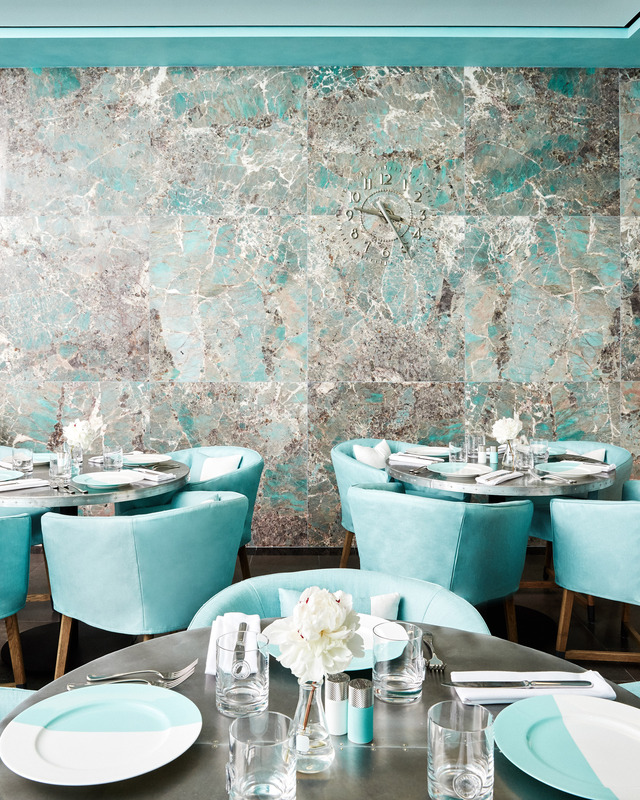 When Tiffany & Co. was planning a redesign and its new retail dining concept, The Blue Box Café, it knew it needed something to dazzle its well-heeled customers. The artfully-composed fourth floor also houses Tiffany’s new luxury Home & Accessories collection of elevated everyday objects. The striking interior décor incorporates industrial details that pay homage to Tiffany’s craftsmanship and heritage. Among the playful and unexpected touches are elegant finishes like Amazonite quartzite, reflecting the new Home & Accessories collection’s emphasis on everyday luxury. In an even more stunning use of natural stone, the Swiss architect for French brand Celine’s new flagship store in Miami’s Design District treated the façades, floors, walls, and ceilings with Brazilian Pinta Verde marble. The stone gives the surfaces a calming blue-green coloration which not only allows the marble to show off its gorgeous hues but lends a beautiful and ethereal background for the brand’s luxury apparel and accessories. Like The Blue Box Café at Tiffany & Co., retailers like Draper James are focusing on creating community gathering spaces and using natural stone to encourage mingling. 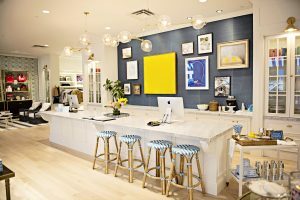 When Reese Witherspoon launched Draper James in Nashville, she wanted the vibe to feel like “the modern southern woman’s home,” according to the retail brand’s blog. 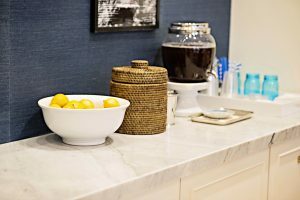 To achieve that feeling, her interior designer added a marble countertop to the cash wrap to make it feel more like a kitchen island, complete with stools around the perimeter. The seating area encourages guests to kick back and relax. Draper James. Photo courtesy of Smokey Mountain Tops. 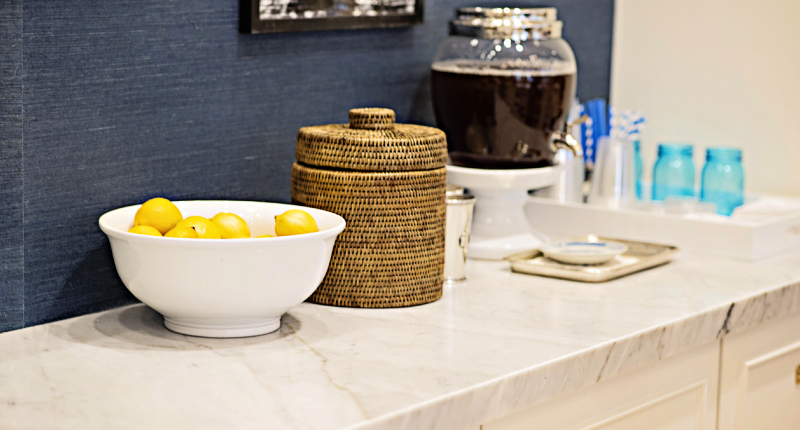 Sweet tea is always at the ready on the marble countertops, too. “I picture a customer walking into the store and being offered a sweet tea by a sales associate,” Witherspoon shares on the blog. 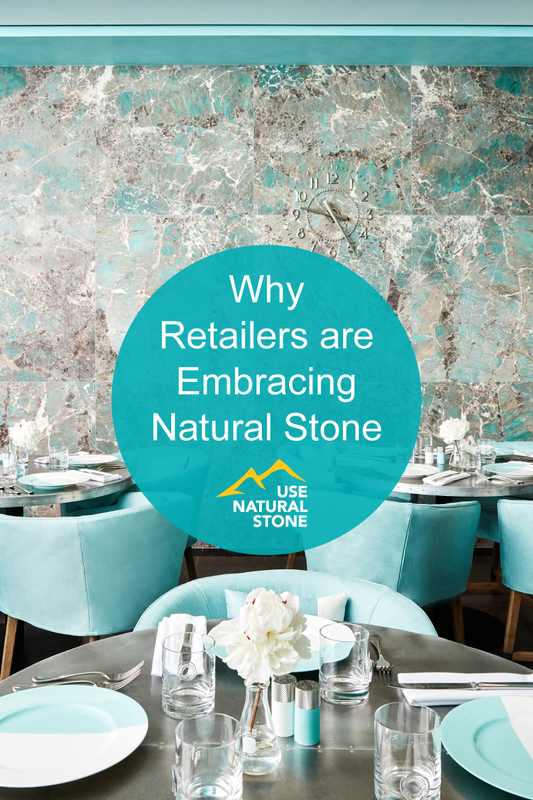 Natural stone helps retailers create that authentic connection with customers. 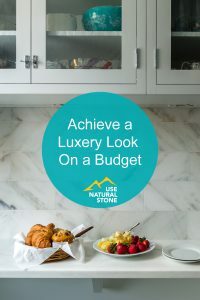 Rather than an afterthought, it’s a mindful decision designed to encourage spending more time in the environment which often translates to customers spending more money in-store. Retailers have their work cut out for them as they continue to test new store concepts in order to make brick-and-mortar shopping fun again. We know natural stone has real weight, both literally and figuratively, and adds a certain permanence as well as a higher level of luxury to any environment. Featuring natural stone, whether it’s to encourage a multi-sensory experience, or as a design element to engage community, isn’t just beautiful, it’s helping bring brands to life and increasing their bottom line.